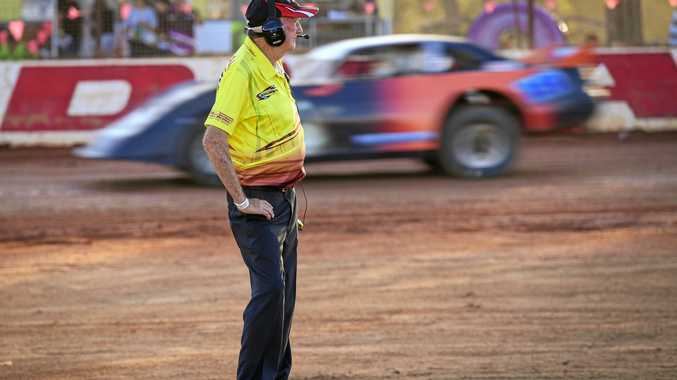 CARINA Speedway - a place where speed dominates - came to a stand still after a race official was struck by a car midway through an event during the weekend. Drivers in the New Stars sedan race had finished and were pulling off the track when one of the cars struck a Bob Wells, 74. The incident happened in full view of the crowd, which fell silent as people rushed to Mr Wells' aid. Cars and utes surrounded him as he laid motionless on the ground. The young female driver was visibly distressed as she was helped from her car and comforted by friends. Within minutes paramedics arrived and worked on Mr Wells. About 20 minutes later announcer Terry Hough told the crowd Mr Wells was conscious and talking. Paramedics stabilised him before transporting him to Bundaberg Hospital. Racing resumed an hour after the incident. Yesterday Bundaberg Motorplex promoter Sean Butcher told the NewsMail that Mr Wells was "doing well". "Thanks to all of the volunteers and emergency services who responded at the time," Mr Butcher said.